Among the thirty-six contributors are Henry Jenner and Robert Morton Nance, probably the most important figures in the early revival of Cornish poetry and literature, as well as writers like Richard Gendall, Tony Snell, Donald Rawe and Saunders himself, who have brought confidence and maturity to the language and its literature. The book contains biographies of the writers, notes and valuable source material. The poems are accompanied by prose translations into English and there is a guide to pronunciation. Tim Saunders is one of the leading poets writing in Cornish today. Amy Hale is Research Fellow in Contemporary Celtic Studies at the Institute of Cornish Studies. It is generally accepted that the Cornish language died in 1777 with the passing of one Dolly Pentreth. I suspect the myth to be an imperialist ploy – take away the language of the colonised and then steal or declare as irrelevant rubbish, their history. I can say with certainty that there were Cornish immigrants who spoke the language in the leadmine villages of North Cardiganshire, Mid-Wales, in the 1850s. But allowing for the probability that the language survived in some Cornish parishes not much beyond the later part of the last century, it has to be said that it is nothing less than a miracle that the language today is undergoing a remarkable resurrection. There are, I am told, 3,000 people able to converse in the language with a reasonable degree of fluency. More remarkable is that there are poets who choose to write in the language as revealed in The Wheel. The anthology covers the period 1850-1980 and the poems – over 100 by 36 poets – have been collected and edited by Tim Saunders. Saunders was born in Northumberland and spent his childhood in Cornwall. He describes the anthology as the result of a personal quest. ‘It was through poetry that I discovered the Cornish language, and poetry led me further into it,’ he writes. Saunders is well-read and an impressive linguist, a writer and journalist who is also capable of working in Welsh, Irish, Breton and French. This attractively produced volume includes an admirable introduction by Saunders himself and a valuable history of the Cornish revival by Amy Hale. In 1998, Cornwall suffered the loss of the last remaining Cornish tin mine, South Crofty. 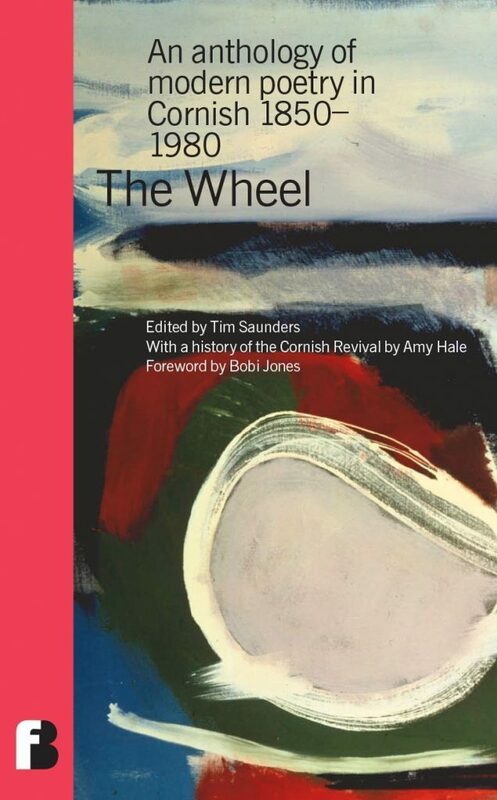 ‘The end of this ancient and most Cornish of industries had a marked effect, mobilising the general populace around a variety of Cornish issues and igniting fresh calls for cultural preservation and economic regeneration,’ says Hale. In 1997, the Cornish pressure group Keskerdh Kernow (Cornwall Marches On) marched from St Keverne to London to commemorate the Cornish rebellion of 1497. The poets draw inspiration from the old Celtic legends of Arthur and Tristan and the land and sea. They are sometimes serious, sometimes witty. One of his poems, written in memory of a young man who drowned as a result of a canoeing accident, has a breath taking beauty. English translations, modestly described as prose, appear alongside the original Cornish text. I say modestly, since the word prose is descriptive of the form rather than the poetic quality. The translation is invariably of a high order. To produce this gem of a book Tim Saunders has trawled endlessly through books, magazines, duplicated leaflets and unpublished manuscripts.